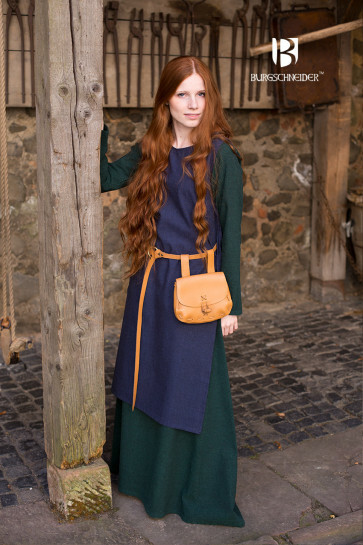 The Haithabu overdress is part of a simple women's clothing in Viking tradition. Lacing on both sides for better wearing comfort. 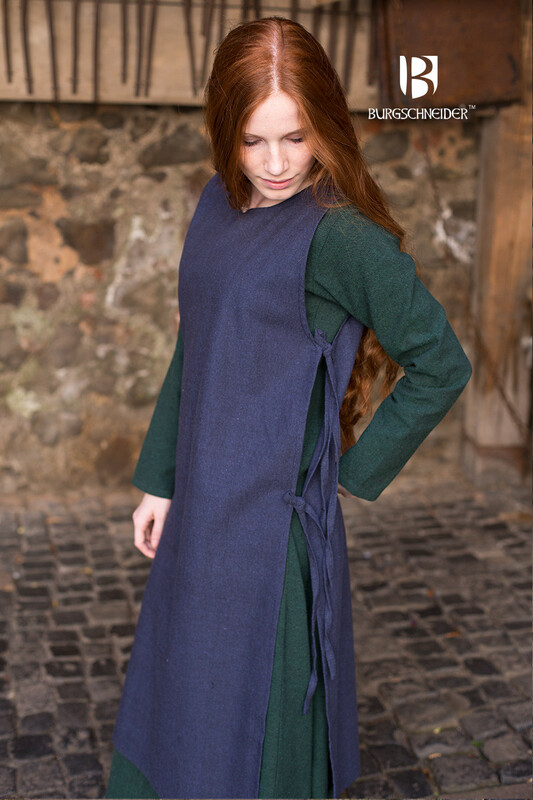 The material used is made of a robust, coarse woven fabric which is made of 100% uncombed cotton. 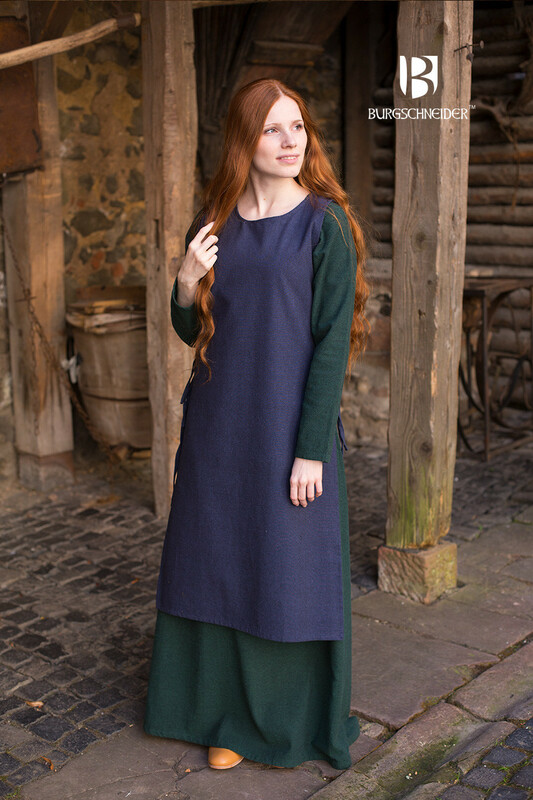 Es passt sehr schön auf das Unterkleid, habe es auch schon mit dem Wollwaschgang gewaschen, ist kaum eingelaufen. Der Stoff fühlt sich schön weich an und so fällt es auch.